The Harlem Shuffle will have to wait. My schedule at the store precludes me getting that far away. In fact, the hours pretty much preclude getting out much at all. However, I did manage to make my way to Central Park and into Hell’s Kitchen. The last time I was in Central Park was probably six years ago in the winter when the park was blanketed in snow. The warmer September weather motivated me to spend a little time to see more of what the park has to offer. 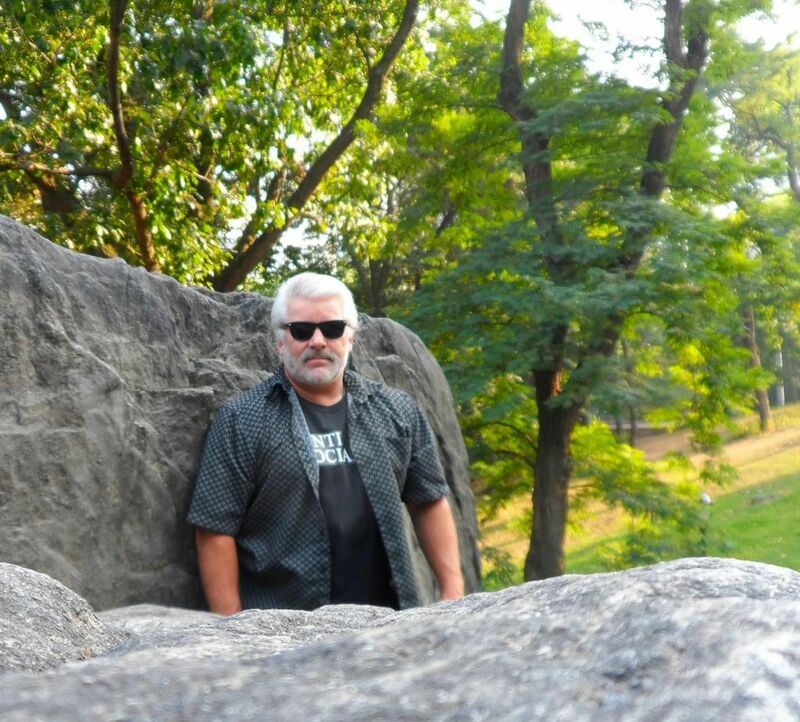 Central Park is truly an oasis of green in the concrete jungle that is Manhattan. Located just a few blocks from where I'm working, it was a short stroll to the northeast park entrance. The contrast between the world inside the park and the one outside of it is striking. On the periphery where I entered at 59th St and Fifth Ave, the traffic, the people, the pace in general is classic Manhattan – rushed and laced with a sense of urgency. 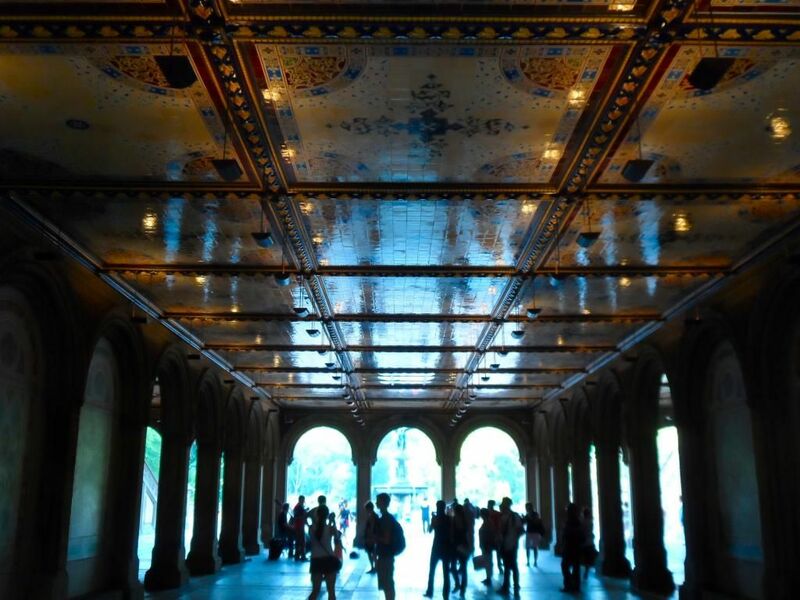 That all changes within moments of entering the park grounds as the ambiance of Manhattan gives way to a dramatically calmer, peaceful environment within. 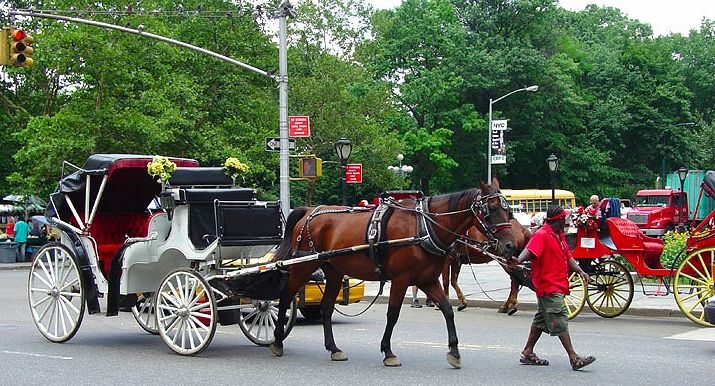 The line of horse drawn carriages is a telltale sign that you’ve reached the park’s perimeter. 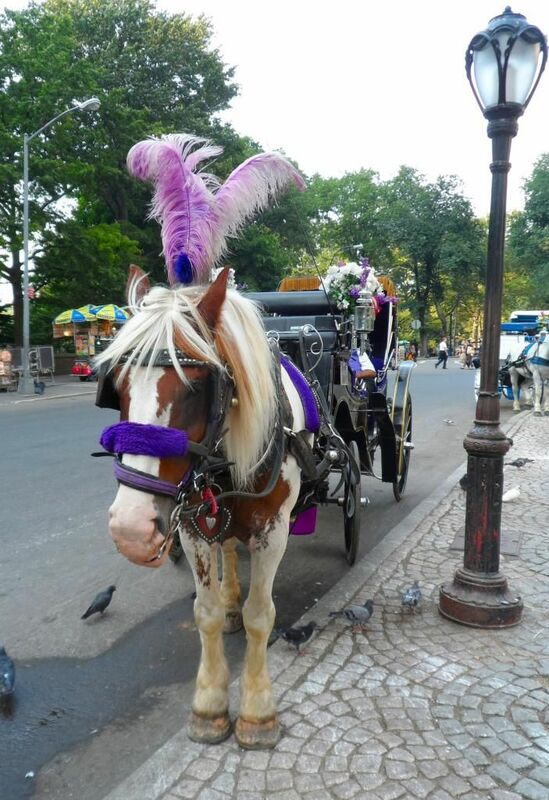 The horses are stately creatures; strong and almost daunting dressed in their decor. The drivers appear typically New York, aloof and disinterested. Perhaps their demeanor changes when they’re with customers. At $3.00 per minute, I didn’t bother to find out. A short distance from the edge of the park is the New York Zoo. 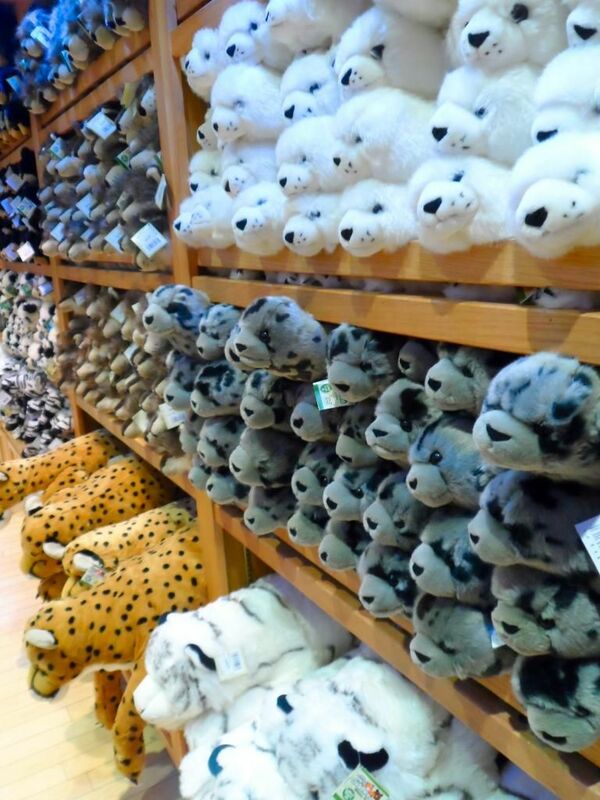 I never knew there was a zoo in Central Park. Honestly, I can’t imagine the animals that live there being any more interesting than the people who live in the City. 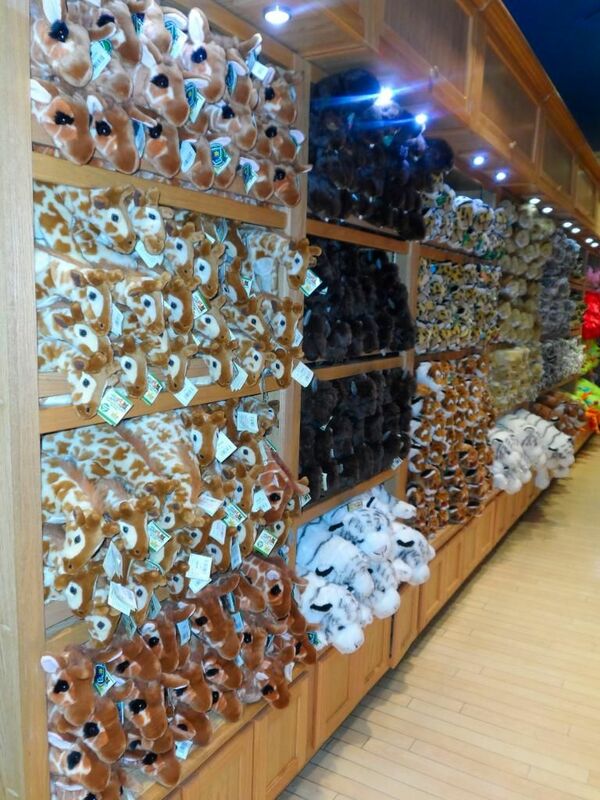 Needless to say, I passed on the zoo. As I made my way along the concrete path past the zoo, it occurred to me that this was “the park” that the creepy Mr. French took Buffy and Jody to in the 1970’s TV show “Family Affair”. That title alone would have an entirely different meaning these days and would probably be a reality show about in breeders. But I digress. several overpasses and tunnels. I stood at the entrance to the first one I came upon and was reminded of the Al Pacino movie “Cruising” as a little voice in my head said “I’m here, you’re here, we’re here…” I looked around. Yeah, it was only in my head. Whew! I dashed that line out of my mind and my thoughts quickly turned to “The Warriors”. Can you dig it? By this point, I was deep in to the park and the City was nothing more than a 360 degree skyline backdrop along the horizon. I felt an increasing sense of tranquility in the quiet. Everywhere you look in the park, you see people; people sitting on park benches, people sleeping on park benches, people jogging, pushing strollers, people stretched out in the grass reading, tourists like me taking photos of everything. I even saw a guy rollerblading. I guess that answers that question. There are probably as many dogs being walked in the park as there are kids being pushed in strollers and the overwhelming majority of them are large breeds. I find that odd given that most everyone in Manhattan lives in cracker box apartments. I suppose it’s no wonder the dogs appear so excited to be out and about, leash notwithstanding. I walked upon one guy who was cupping water from a drinking fountain and then stopping down while attempting to retain enough for his dog to drink. The dog eagerly lapped at each handful soaking himself and his owner in the process. I stopped, stood, and watched him repeat this several times and then pointed out the attached dog bowl at the bottom backside of the drinking fountain. I pressed the foot valve and the bowl filled with water. The dog must have had his fill because he didn’t drink any. Perhaps he figured he had sufficiently soaked his master. I wandered past the band shell and briefly wondered what it would be like to play there. The courtyard/audience area was occupied by several skateboarders attempting to perfect various tricks using improvised ramps and rails. The skaters ignored the “No Skatebording” signs posted along the four perimeter sides of the courtyard and the two NYC police officers ignored the skaters. They weren’t harming anyone and seemed to enjoy the attention they were garnering from several Asian tourists with cameras. Past the band shell is Central Park Terrace and Bethesda Fountain. The terrace is a large underpass, easily wide enough to accommodate four lanes of traffic and is ornately decorated with a mixture of large, colorful tiles and smaller ones that form Impressionist era mosaic images. Inside the tunnel were two classical musicians playing a violin and cello. The acoustics of the tunnel provided a natural source of amplification and echo that rivaled any concert hall I’ve ever been in. Their skill and passion for music was obvious to the small crowd who had gathered to watch. In the crowd was a little girl who, despite being among numerous people, was seemingly in her own world as she danced - oblivious to the attention she was getting from those who had stopped to enjoy Pachebel’s Canon precisely performed by the duet. I thought of my granddaughter and how she would have reacted. Brooke is all about dancing and had attended her first dance class just tow days before. The difference between Brooke and this little girl was Brooke would have commanded the audience’s attention while she danced like she does on our coffee table (aka her stage) at home. 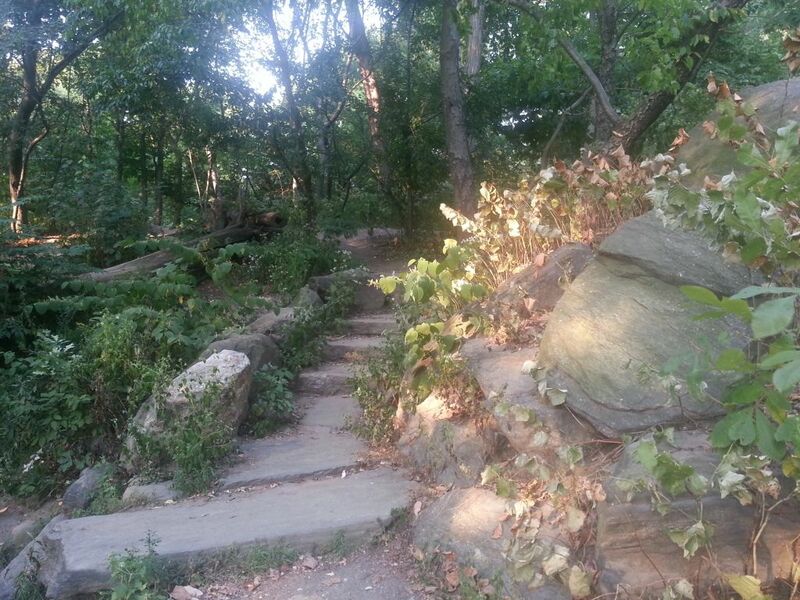 The terrain of Central Park is as varied as is the Manhattan skyline. One moment, I was standing in a tunnel of concrete and tile fronted by a huge fountain and statue and the next, I was literally climbing a steep a hiking trail surrounded by wildlife, lush forestation, and babbling creeks. Back on the concrete path, I crossed a bridge that spanned the edge of a large lake that probably had a name, but that I neglected to learn. 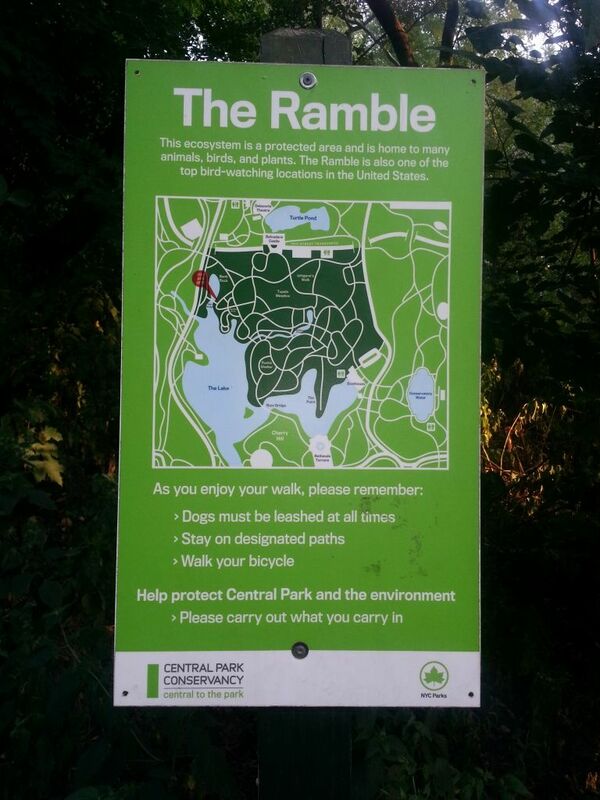 Near the bridge was a sign that read “The Ramble”. The Ramble apparently has a reputation among the locals (think back to the Al Pacino reference), but to me it was all about Led Zeppelin. My band does a pretty mean version of Zeppelin’s “Ramble On” and I had to get the picture. Once I was finished Rambin', I found myself at a busy road that divides the park. I strolled to the northern end of the park and crossed, wandering aimlessly and following the rest of the crowd. I really had no idea where they were heading or where this road would take me. Within moments, I found myself at 97th street and back among the traffic. 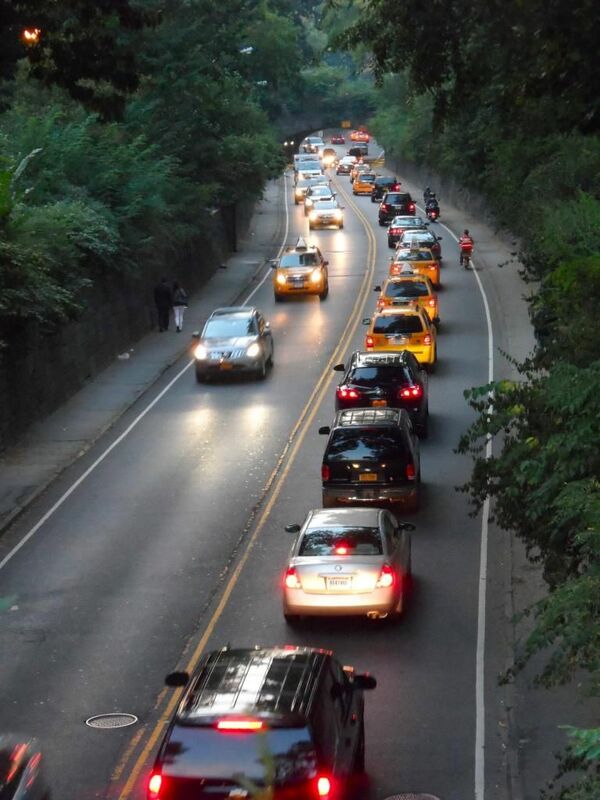 I considered taking Central Park West street back to my hotel and calling it a night. I reconsidered and realized I hadn’t had enough. I wasn’t ready to dive back into the concrete jungle just yet, so I backtracked a while and caught a smaller path that headed southeast. used to remove the platter on his record player, twist the drive belt one turn, and replace the platter. Then, the records would play backwards. We would put the needle in the inner most groove and watch it work its way outward as unintelligible garble emanated from the speakers. For what it’s worth we gained zero enlightenment or inspiration from these experiences. Perhaps that’s because we weren’t high. Again I digress. 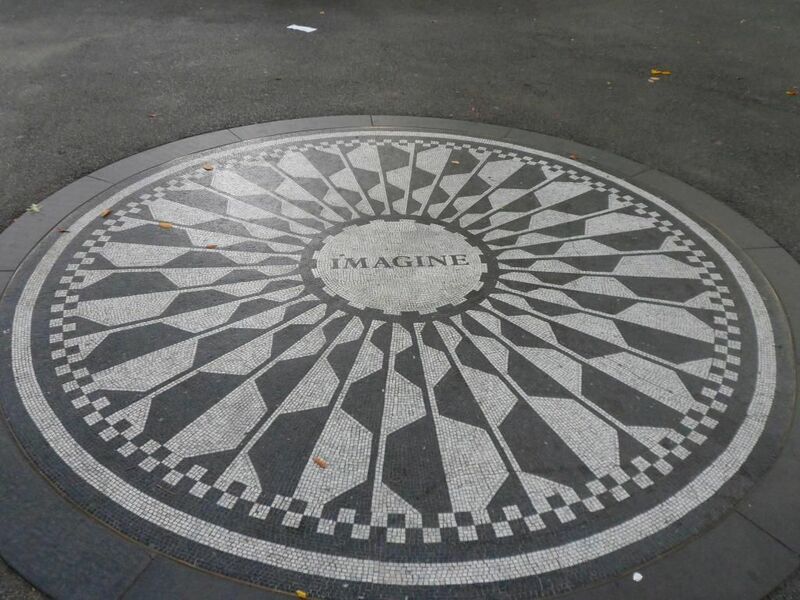 My non-fan status notwithstanding, I found myself drawn to at least check out Lennon’s quasi memorial and shoot a few pictures. The “Fields” are really just a small patch of grass with a marker commemorating the area imbedded in the concrete nearby path. I noticed that everyone, despite being in disparate groups had removed their shoes before stepping on the grass. There was no sign instructing them to. They all just did. I was too lazy to take mine off, so rather than potentially desecrate this “hallowed” ground, I walked on. I paused to capture a silhouette image of a cool falconer statute that was nestled picturesquely between two trees. Suddenly, at the end of a long tree line, the world seemed to open up into an enormous expanse of flat, pasture-like grassland the size of which would easily encompass dozens of football fields. I stood at the opening of what I now know is called "Sheep Meadow" and stared like the tourist I was. It seemed impossible that a place this size could exist in the middle of Manhattan. 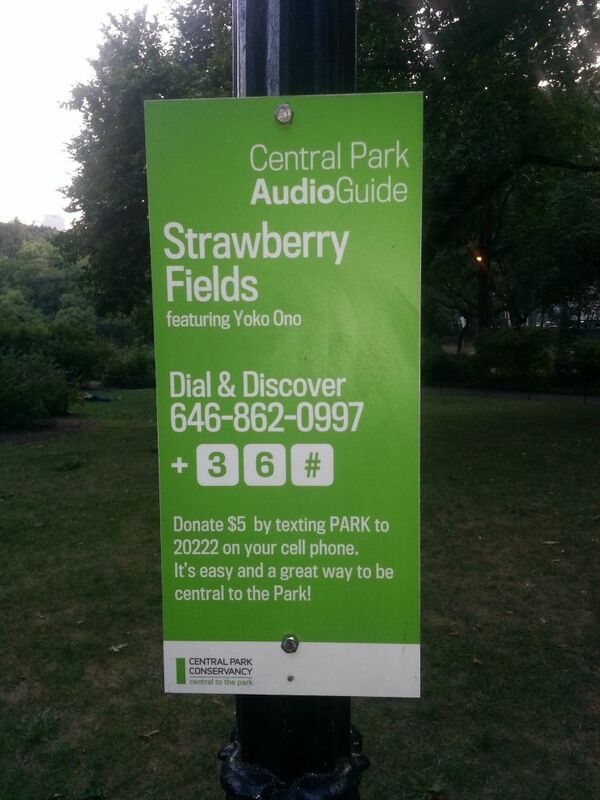 The sight of the Manhattan skyline surrounding the pasture was proof that this was indeed real. 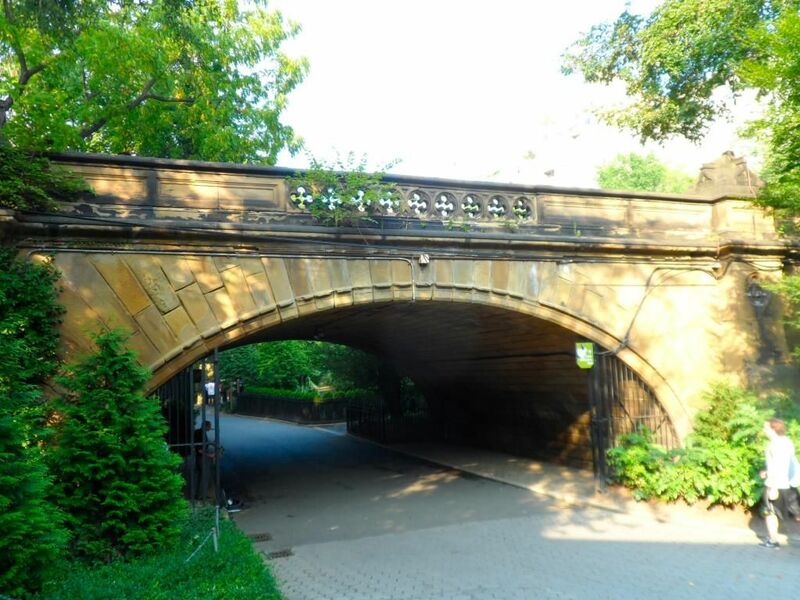 It occurred to me that this was the place where all the huge, legendary Central Park concerts take place. I was shaken back to reality by a foreign couple who asked me to take their picture. I obliged and they asked me if I wanted them to shoot one of me. I said “sure” and stood there smiling. The guy asked if I had a camera. My camera and my phone were in my shorts pocket. With a straight face, I replied “no” as I stood smiling. The woman grabbed his camera and snapped a photo. I turned my back to a different part of the skyline and asked her to shoot one more, which she did. Then, she asked me if I had an email address they could send it to. I replied “no, I don’t. But thanks!” and then walked away. The confused faces as they looked at each other was priceless. Of all the activities happening in the pasture, Frisbee was the most exciting to me. Watching the teams play Ultimate Frisbee brought back memories of the summer months after I graduated high school, before I went to boot camp. 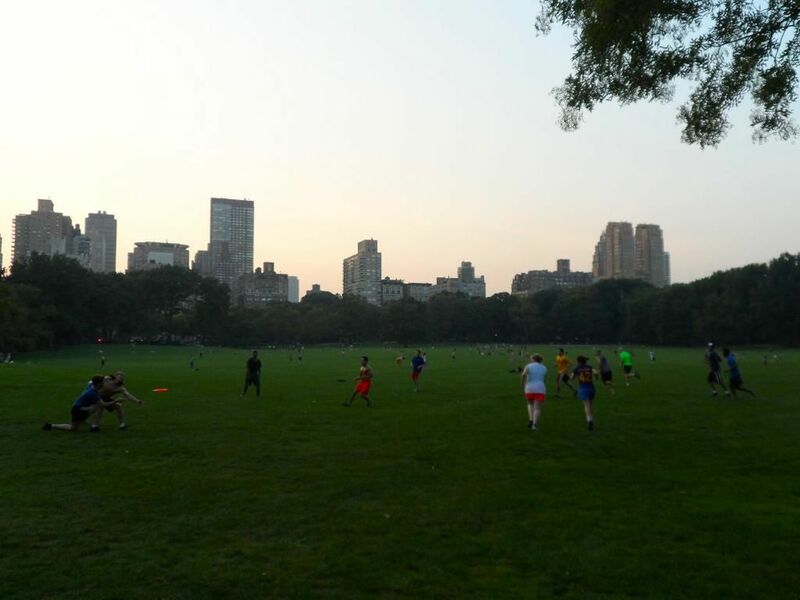 We used to play Ultimate Frisbee in the park at night when it was cooler out and I could sling a disc as far and straight as anyone in my crowd. As I walked past the teams, one of the members missed a catch that went way over his head and the Frisbee practically landed at my feet. He yelled out to me "Do you mind?" and I saw a chance to seriously get my Fris on. Maybe if I showed them what I could do, I could join in. I picked up the disc, planted my feet, squared my shoulders, and let her rip. My intentions of a flat, smooth glide straight to the guy who called me went a little awry. Actually, they went a lot awry. The Frisbee took a serious arc to the right, hit the ground, and rolled about two hundred feet away from the players. The damn thing rolled further than I ever could have thrown it. They would have walked less distance had they just picked it up where I stood and walked back. Everyone just looked at me and one little kid on the sidelines yelled out "boooooo!" I shrugged my shoulders, apologized and turned to see the couple who took my pictures staring at me again. Frisbee is a stupid game anyway. now I had walked up a pretty good appetite. I headed south on 8th to forage for food. Within minutes I was in Hell’s Kitchen; heaven to hell in a ten minute walk. I found a nice little Italian place called Maria Pia and ducked in for dinner. I have to admit I didn’t know I was in Hell’s Kitchen until the menu told me so. That insight conjured up memories of the movie “Sleepers” and when I left, I found myself looking for movie landmarks. I never found any, partly because by now it was dark and mostly because the movie was probably shot on a Hollywood set. I decided my feet had had enough and headed east towards my hotel. My trip back was interrupted by a call from a subcontractor working at Tiffany, so I diverted myself north. For days, their foreman had been asking me what their deadline was. Someone must have told them because the crew there was working in super slow motion mode. I get annoyed all to hell by union crews who back their effort into deadlines to milk a job. I was in the middle here because I had to manage these guys, but they were hired by my customer. Few things piss me off in a work situation as hearing someone say “that’s not my job”. I refused to argue with the foreman and instead scheduled a facility walk through the next day to review their progress. The foreman sang a different tune when his boss and the Tiffany manager who hired them were there for the review. I left the store and although it was getting dark, I wasn’t tired. I decided to head over to the Apple store a few blocks away. I had deployed a wireless network at this and several other prominent locations a few years ago. It was in front of this store that I got hit by the cab crossing the street and it was inside this store that I got bit by a dog. Nothing nearly as exciting happened this time. Interestingly enough, a crowd of devotees had already formed a line in front of the store to be the first to get the new iPhone. The release was still ten days away. It occurred to me that the people in line should hire the union guys in my store to for them. Lord knows they could certainly find ways to waste the time. 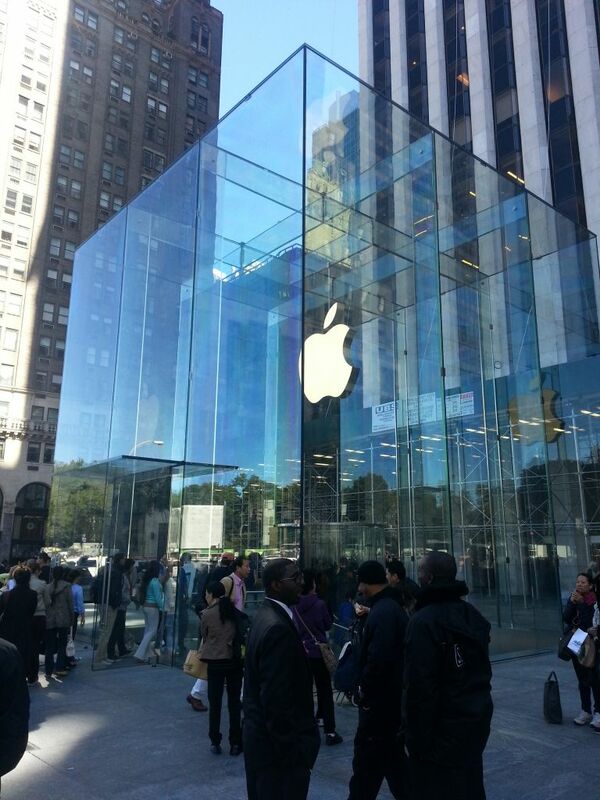 The Apple store is underground. Sitting above it is the famed FAO Schwarz toy store. I popped in to see if I could stomp on the giant piano that Tom Hanks played in the movie “Big”. To my disappointment there was no piano, although they had every other toy imaginable. 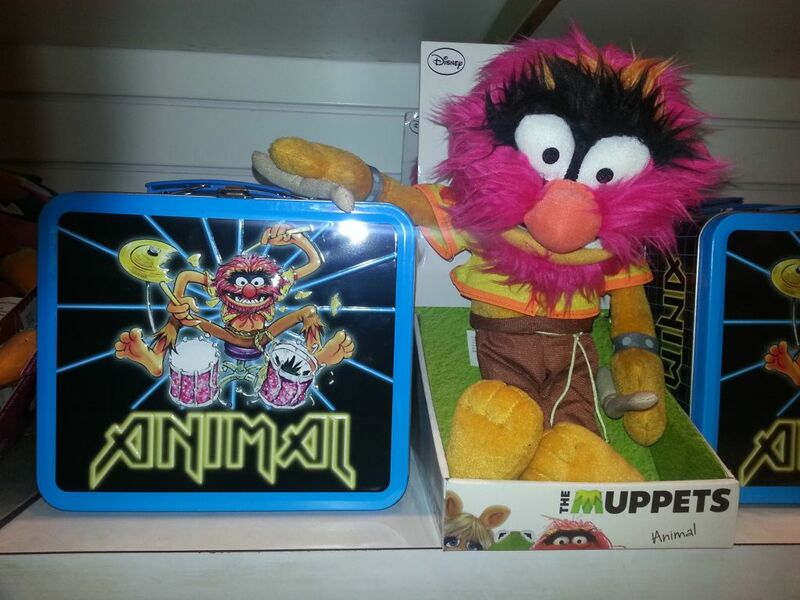 I liked the Animal edition lunch box. On the wall above the Escalator down to the lower level there is an animatronic clock that plays and sings a musical "welcome to toy land" tune. 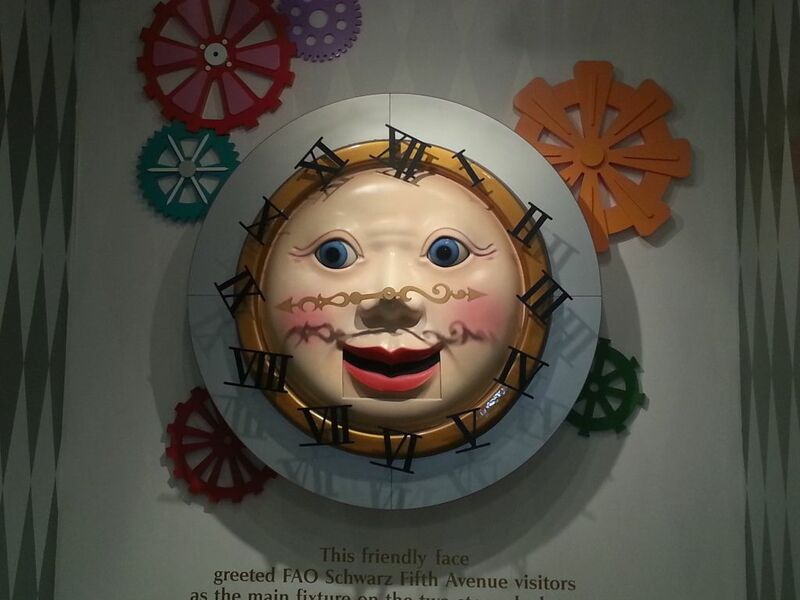 This clock creeped me out. I can imagine Brooke's reaction. Brooke is in a fairy princess stage these days and FAO has crap to fill all this Pop Pop's fairy princess needs! I could spend a month’s pay at FAO buying crap for Brooke. I managed to make it out with only stuffed boxer that looked just like Dagny...and a princess tiara...and a complete fairy princess dress complete with wings. 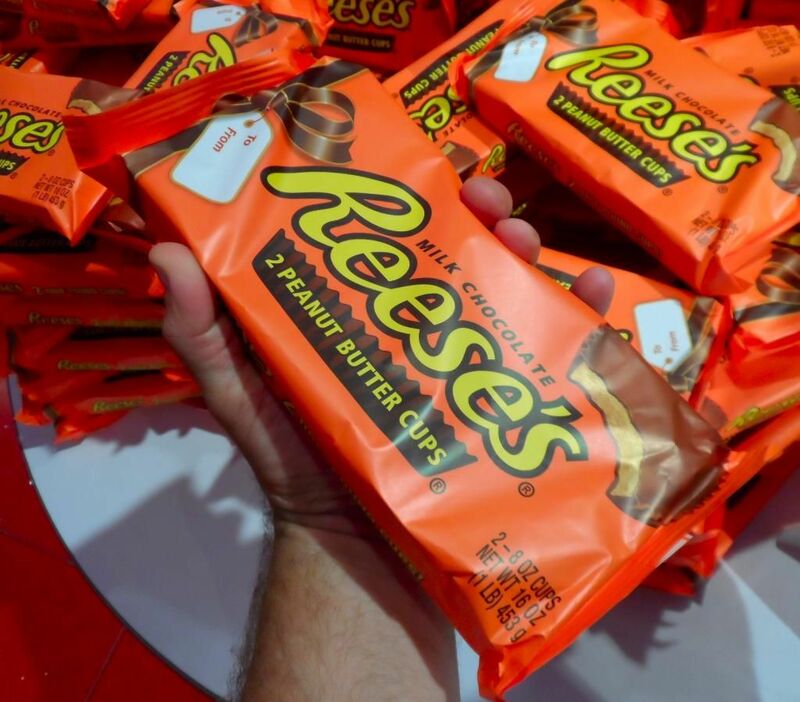 Brooke will be pleased. As of this posting, I have two more weeks left on this project. I thought briefly that New York City might be growing on me. I’ve since realized that the growth is probably just a mole. Eat your heart out, ET!